The use of goldenseal was taught to early American colonists mainly by Cherokee and Iroquois medicine men and women. It was called yellow puccoon and used both as a dye and medicine. By the mid-1800s, goldenseal had become the cornerstone of a cancer treatment described by Dr. John Pattison, an American living in London. His work is discussed in my book. Earlier in his career, Pattison, like many others, relied on bloodroot for topical treatments of cancer. Eleven years after publishing his work on bloodroot, he switched to goldenseal. Not many took the cue, but the action of the two herbs is vastly different. In my experience, goldenseal has been seen to reduce inflammation very quickly. This can relieve pain as well as narrow the scope of the treatment, but the main difference between the two herbs is that bloodroot can be faster acting but more painful. It is potentially an escharotic whereas goldenseal enucleates the tumor, a slower but more elegant and precise method, but one that has not really been embraced by practitioners. 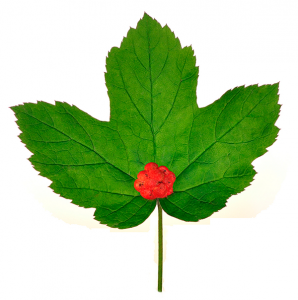 Goldenseal is native to the Eastern part of North America from the Carolinas to Canada. It likes quiet places in forests and shade. It requires cold winters to thrive. It can be grown from seeds, but is usually propagated from roots. It has delicate white flowers that appear in May and last through June. Edible red berries appear in July and can be picked in August. The roots and rhizomes are harvested in autumn and usually dried and then powdered or extracted. Some herbalists also use the leaves. Dr. John Pattison took credit for introducing the medicinal use of American alkaloids to Europe in the mid-1800s. Goldenseal was of particular interest to him. 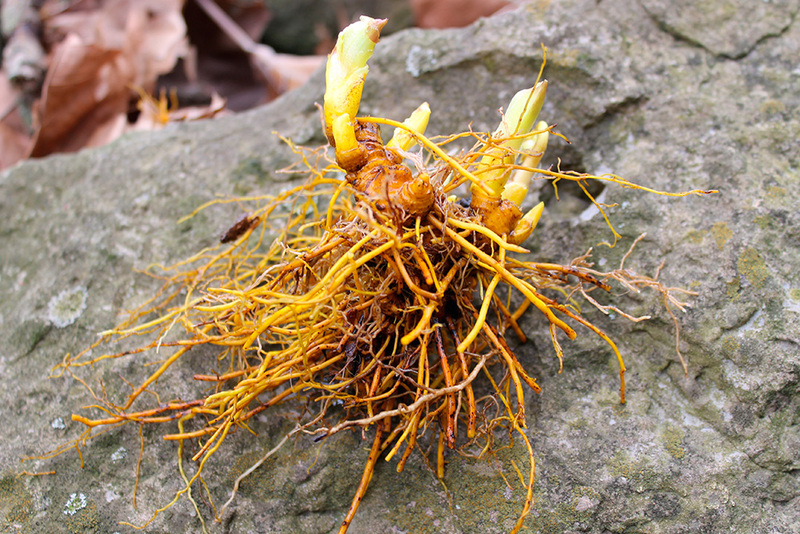 The roots and rhizomes contain berberine as well as hydrastine, canadine, canadaline, and l-hydrastine. In addition, goldenseal contains minerals and vitamins, especially calcium, iron, and manganese plus vitamins A, C, and E and B-complex. Because demand exceeds supply of goldenseal, those who are seeking a plant source of berberine might consider more readily available options such as Oregon grape root, barberry, and coptis. Hydrastine has not been researched nearly as thoroughly as berberine, but it is clearly an important constituent of goldenseal. Bayer patented hydrastine as a hemostatic, but it appears to have far wider benefits. 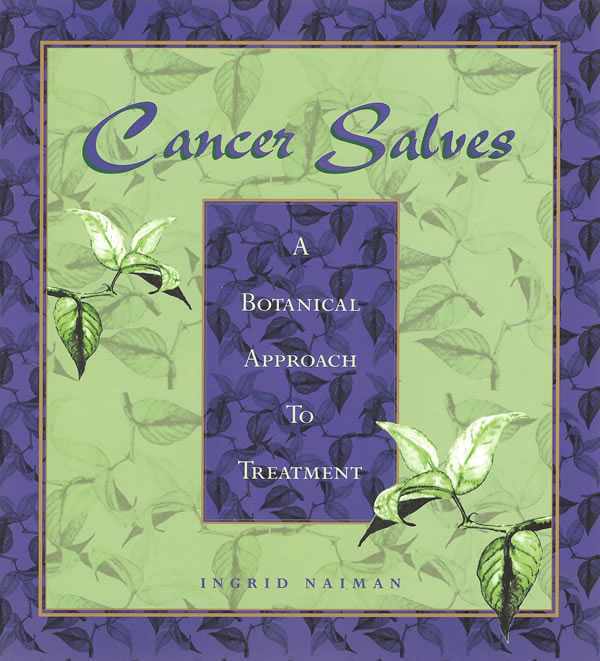 Given that many people reading this page may not have read my book, it may be the first time that some have considered goldenseal as an alternative to bloodroot. The work of Harry Hoxsey and Dr. Frederic Mohs focused on bloodroot. Today, the first many people heard about escharotics was when reading Dr. Andew Weil’s account in his book on spontaneous remissions. In my investigations of topical cancer treatments, there were many successful outcomes but nothing that would qualify as spontaneous. Rather, the treatments are daring and arduous and achieved only through courage and perseverance. So, what I might contribute to the knowledge base here is that the two plants — bloodroot and goldenseal — are very different. For example, once harvested, bloodroot tends to develop a white fungus very quickly so it must be processed immediately. However, goldenseal appears to be naturally anti-fungal and even when I have provided opportunity, no fungi ever appeared. When powdered, bloodroot is extremely irritating if inhaled so masks are advisable. However, goldenseal is soothing to mucous membranes. None of these distinctions would be important unless life itself is at stake, and this, in fact, is the situation for many people. There are pages on this site and in my book devoted to bloodroot so some comments should be saved for those sections. That said, there is a Native American tradition pertaining to bloodroot that is important to mention. According to the late Tis Mal Crow, the plant was only to be handled by women or a “third gender” of two-spirited individuals who function ceremonially in that capacity. Not surprisingly, bloodroot tested very successfully in preliminary tests of viral loads of HIV-infected individuals, suggesting not merely that it might be the herb of choice for some but that it is what some would call anti-viral. Given that many cancers have been linked to vaccine contaminants such as Simian Virus 40, bloodroot very possibly has a role to play when used internally. This is not to suggest that goldenseal is less anti-viral, but it does not seem to have the same cultural tradition so its ideal use may also differ. I find it more potent than bloodroot when taken internally and more subtle when used externally. For external uses, it is fair to say that bloodroot is potentially more caustic, but I have not seen it as harmful to healthy tissue. With morbid tissue, there is a heat reaction that can potentially cause an eschar to form. With goldenseal, there is no heat reaction at all and the mechanism of action is very gradual and causes a separation of morbid from healthy tissue. This is what we see with both vaginal use as well as topical use on breast cancers. It is therefore my preference where there already is inflammation or suspicion of fungal infection. Since the mid-1800s, goldenseal has often been used as a treatment for cancer. Dr. John Pattison, an American living in London, began using it instead of bloodroot. Being anti-inflammatory, it does not have an escharotic action, but rather a gradual encleating effect. In can be used topically as well as internally. The roots and rhizomes are sometimes combined with leaves. Though very bitter, goldenseal can be used as a gargle for sore throats and oral infections, as a suppository for vaginal and rectal conditions, as a wash for eye irritations and skin irritations, as a poultice for inflammation, and as an ointment or paste for certain types of malignancies. Goldenseal is disinfecting and anti-fungal and is often used for eczema, ulcerations, and ringworm as well as some sexually transmitted diseases. Goldenseal has many traditional as well as modern clinical uses. In terms of cancer, there are three main ways to use goldenseal. This is actually a formula containing equal parts of eight different herbs. Dr. Christopher suggested making boluses (suppositories) for vaginal or rectal use. The herbs have several actions. Together, they are detoxifying, absorbent, and regenerating. The herbs actually sponge up some morbid matter so use should be followed by a douche or enema made more or less like a tea. Making the boluses is a little tricky unless one has a form to allow them to retain their shape. Then, to prevent them from melting, they need to be refrigerated and removed one at a time as needed, typically one per day before retiring for the night. If the patient has candida, there could be some itchiness at the beginning of the treatment. This usually subsides in two or three days. Since the boluses are a little hard for some people to manage, either because of the cold or the softness, an alternative method is to use the same herbs in an oil base and insert the thick liquid with a syringe. This is harder to retain, but it can be tried. This approach is a variation of the escharotic use of bloodroot by both lay and professional practitioners. Goldenseal is usually combined with zinc chloride, but this is not necessary if the tissue is very thin, like an eyelid. Though many laypersons believe the treatment is something they can manage at home, this is an approach with many nuances that actually take years to master. Those who have clinical experience are often very skilled and can remove palpable tumors over a period of time. This approach requires daily dressing changes and additional ointments once separation starts to occur. 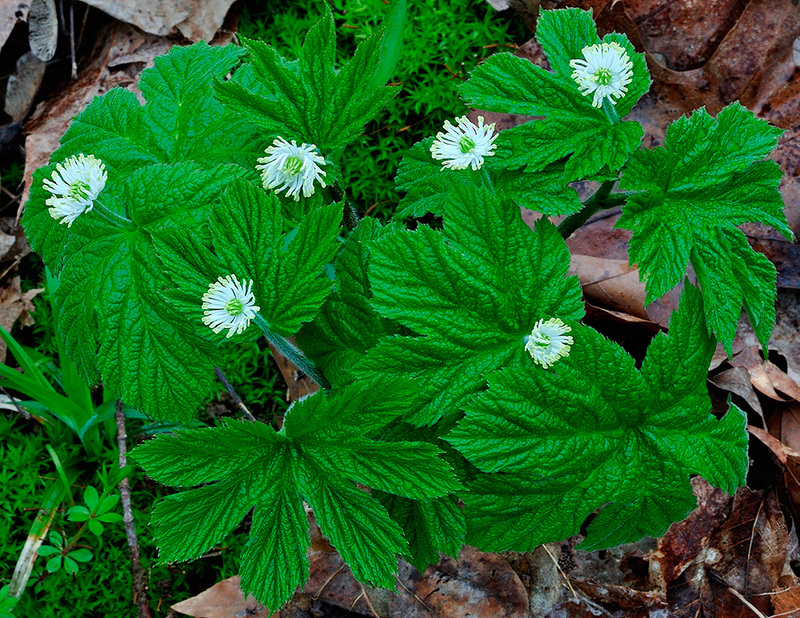 Goldenseal can be used as a wash for the eyes, ears, and skin. It is anti-bacterial and anti-fungal, but it can also be applied as a liniment or plaster to reduce inflammation. This is extremely useful in terms of comfort as well as defining the actual extent of the area requiring treatment. This is my contribution to the long history of topical cancer treatments. Once an eschar detaches, it is important to examine the site for traces of remaining malignancy or morbidity. Ideally, one would like to recheck the initial observations over a period of two or three days. Since the treatment area has a tendency to close up very quickly, I created an ointment with myrrh gum to allow a little longer observation period. During this time, very careful examination of the site is recommended. One can use a magnifying glass, digital camera with a macro lens, or dermatological microscope with an attached camera. There are many uses for goldenseal, but blending it with other herbs can provide synergistic benefits that act systemically. In most studies, the alkaloids found in goldenseal are studied separately instead of as they are found in Nature. These suggest that the actions can be predicted to act on certain pathogens or on certain physiological functions such as nausea or diarrhea, but the reality is that many effects are systemic. In my experience, goldenseal works very quickly when taken internally when there are signs of infection. The cause of the infection may be very clinically important, but whether the issue is exogenous, such as a microbial infection related to the patient’s vaccine history, or internal as is the case with many oral infections that start with tooth decay or gum disease, the symptoms, including pain, tend to subside within hours after taking goldenseal. Since goldenseal is not the only herb with such properties, it is important to choose the herb carefully. I formulated Indigo Drops to replace a product that a company producing mainly formulas developed by Dr. Christopher decided to discontinue. My intention at the time was to address lymphatic congestion associated with die off and/or infection. Indigo Drops fulfilled exceeded my expectations and helped many people to bring their symptoms under control. As an aside, I may state my personal opinion that regardless of what one reads, the way the herbs work is seldom directly on a pathogen or toxin. Herbs work by nourishing the immune system and various tissues so that the cells of the body function better. Therefore, what happens in a petri dish is not necessarily a clue to what will happen in the body. Given that many toxins are acidic, there may be balancing actions when using alkaloids, but it does not mean that an herb is directly attacking a virus or bacterium. It may however change the milieu in a way that favors health over disease. Goldenseal was used by Native Americans both as a yellow dye and medicine. It was mainly used for inflammations and infections as well as an eye wash and wound cleanser. It acts quickly on mucous membranes and reduces phlegm. Since demand for goldenseal exceeds supply, other herbal options should be considered before using goldenseal. In some areas, sale of plants may be prohibited. Even ethical wildcrafting may not be permissible, but whenever wildcrafting, some specimens of the plant should be left so that the plant will be available for future generations. 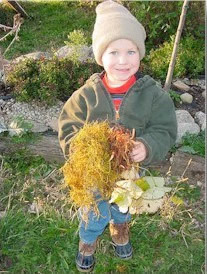 Tyler, age three, began his herb initiation young by helping to plant and to harvest medicinal herbs. He is shown here holding goldenseal as well as a little bloodroot. Because goldenseal can cause uterine contractions, it should be avoided during pregnancy. In most cases, use of goldenseal should be limited to three months or less. While the renaissance in the U.S. botanical market is positive in many respects, medicinal plant populations are suffering from loss of habitat and overharvesting, and many bestselling herbs are now at risk including echinacea, American ginseng, goldenseal, Hawaiian wild kava, and wild yam. 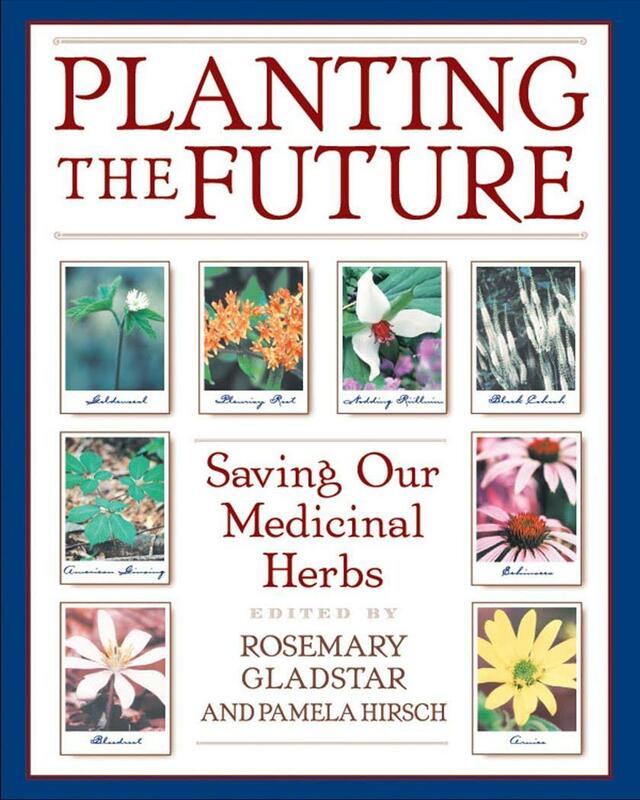 For others who want to grow goldenseal, read this book (available from Sacred Medicine Sanctuary) on Planting the Future, edited by Rosemary Gladstar.